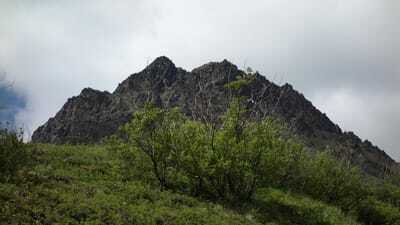 After my cousins wedding in Los Angeles, and experiencing Tahquitz Rock for the first time, I returned to Alaska (I never actually intended to leave partway through the trip, but the weather was not very good). 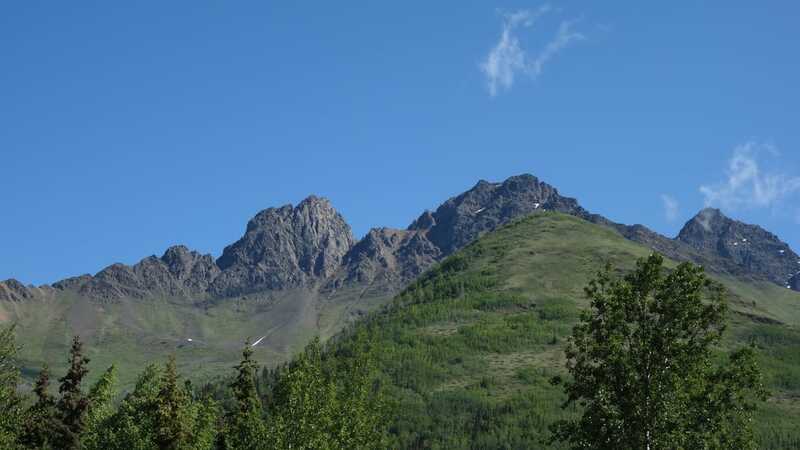 I asked Chris for a good suggestion for a good scramble I could do myself and he suggested East Twin Peak. 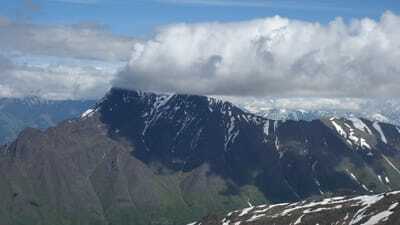 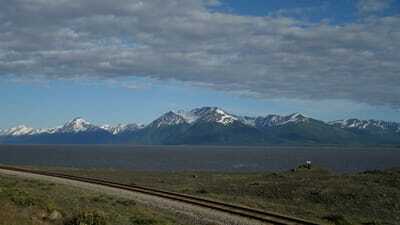 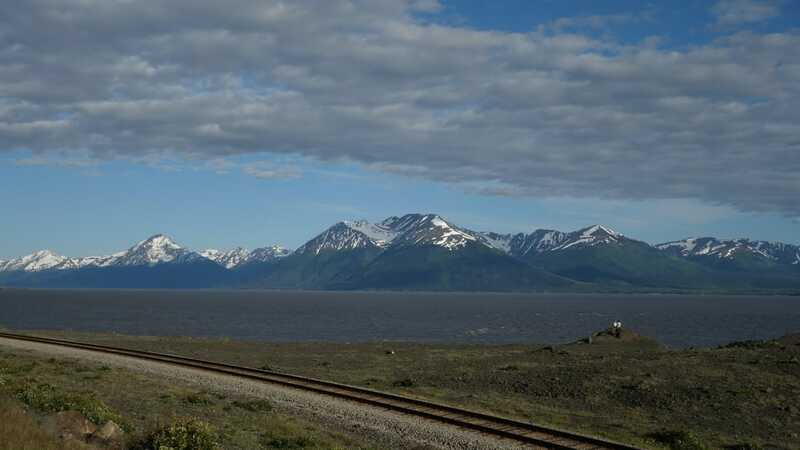 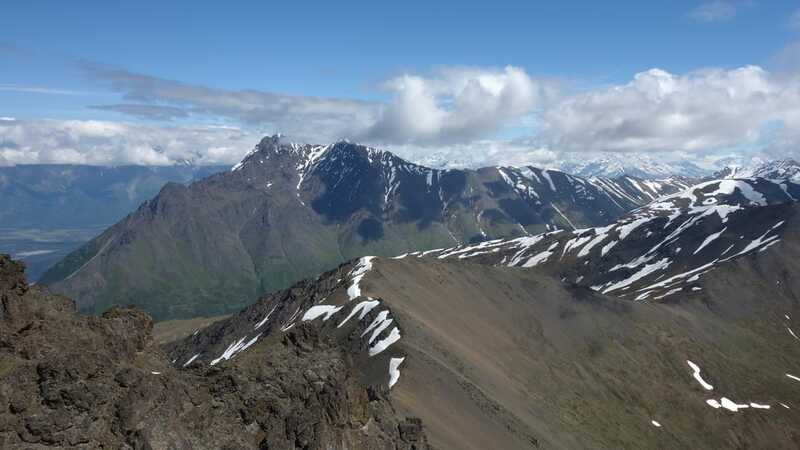 I had seen it before from the Mat-Su Valley since it towers above and dominates the southrn horizon from the towns of Palmer and Wasila. 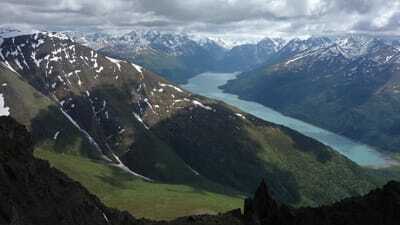 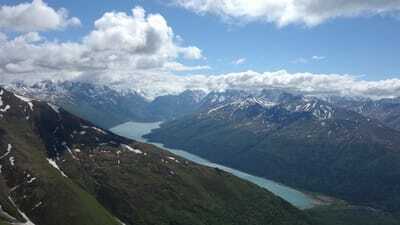 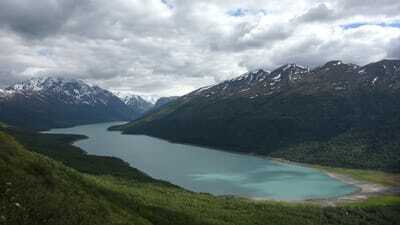 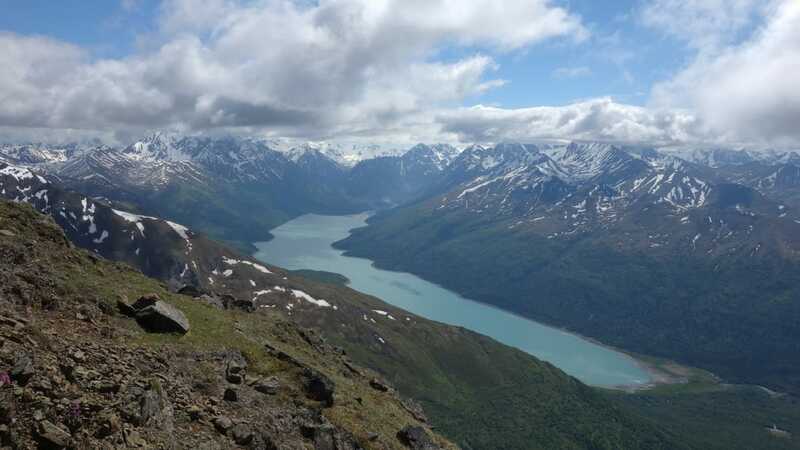 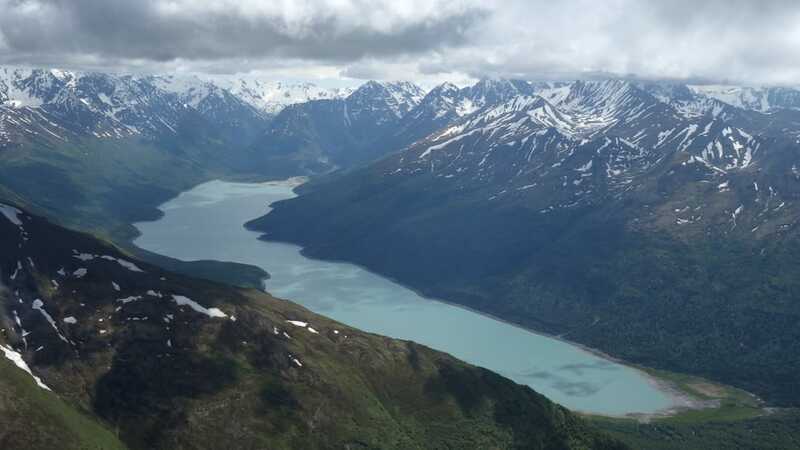 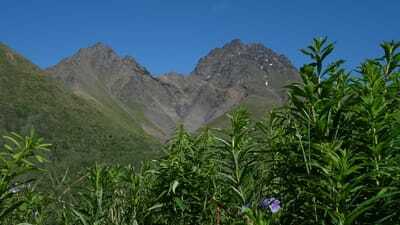 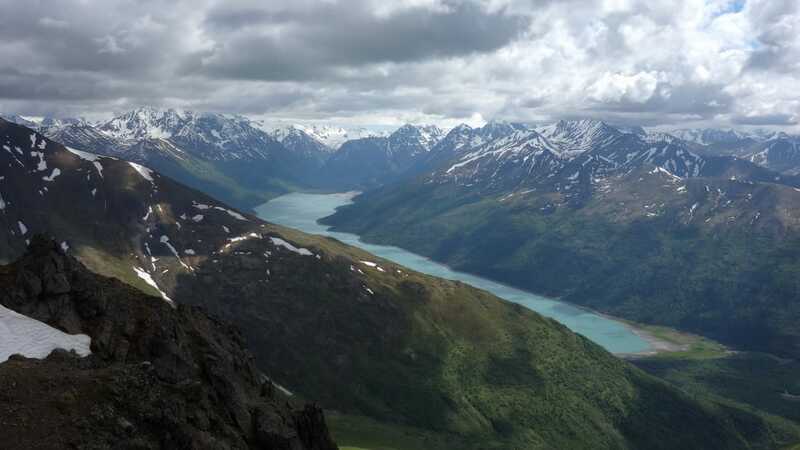 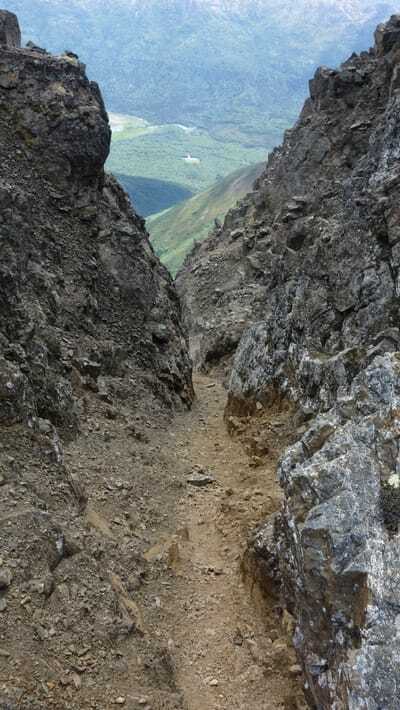 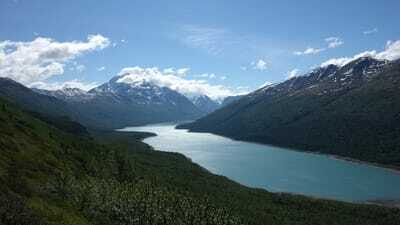 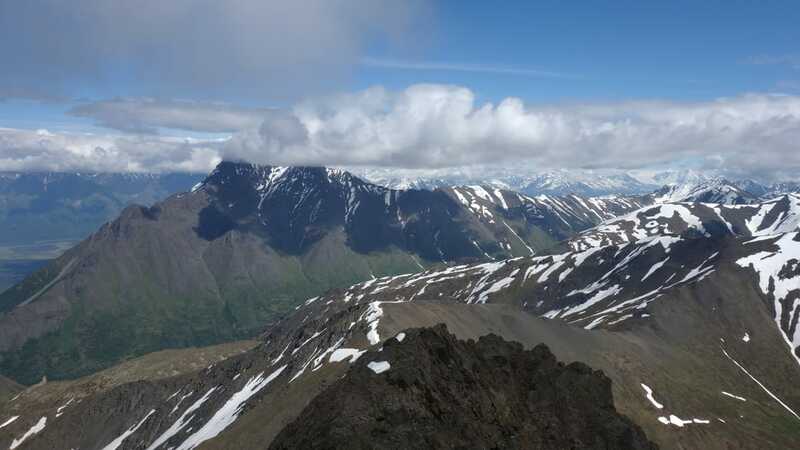 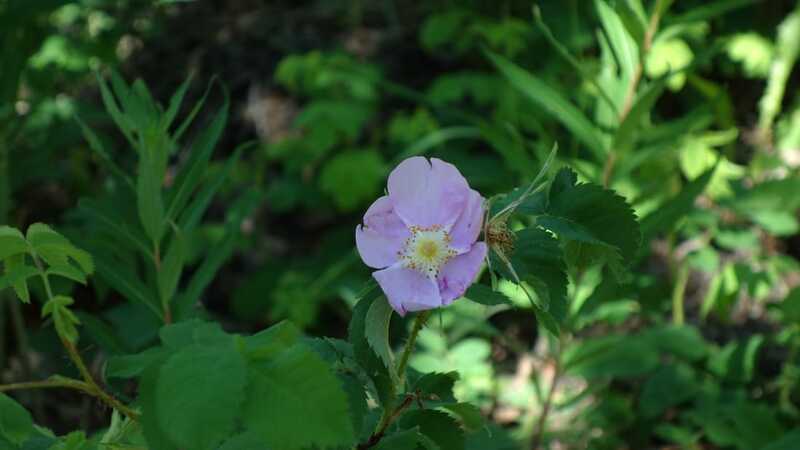 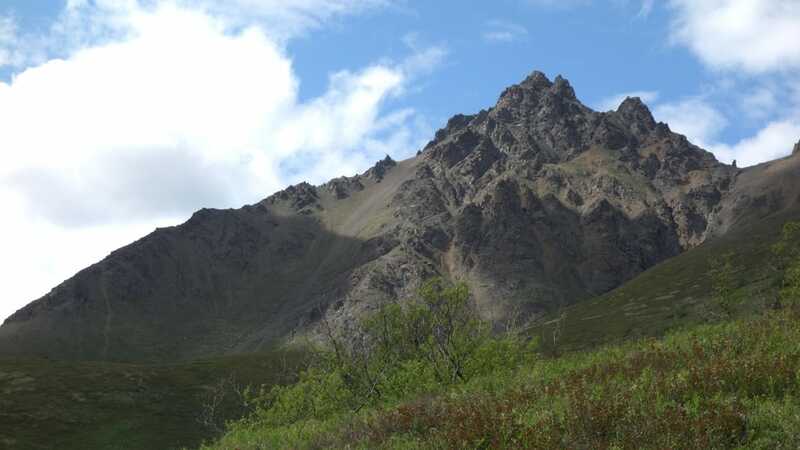 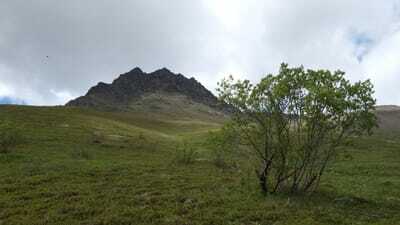 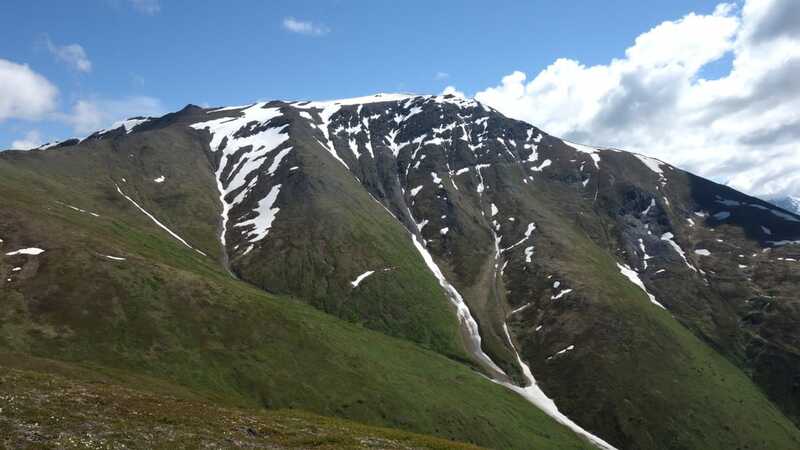 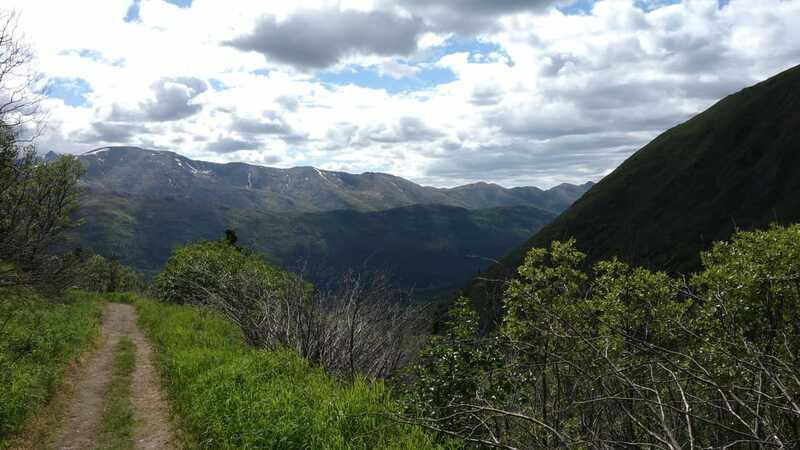 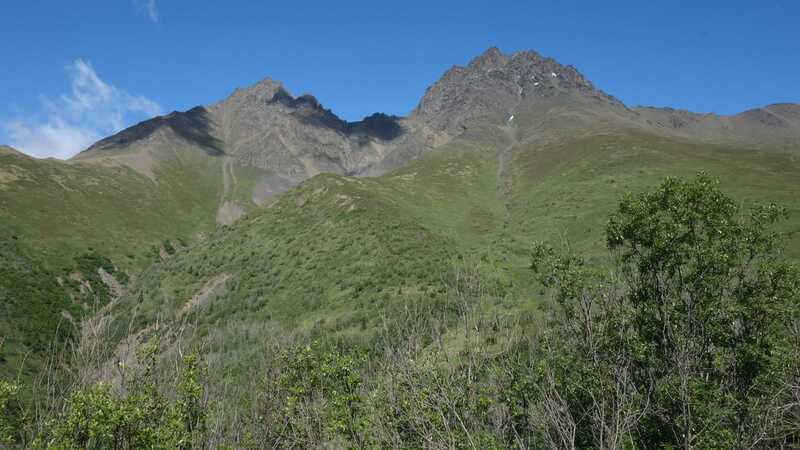 I drove to the Eklutna Lake recreation area, and started up the well maintained Twin Peaks Trail, which heads north from the west end of Eklutna Lake towards Twin Peaks. 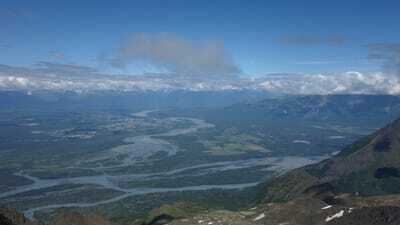 I made excellent time and got to the viewpoint right at treeline at the end of the trail in just under an hour. 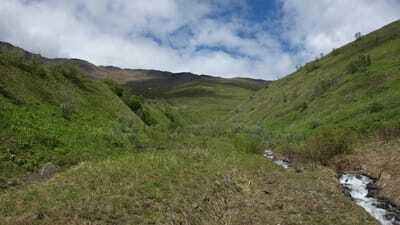 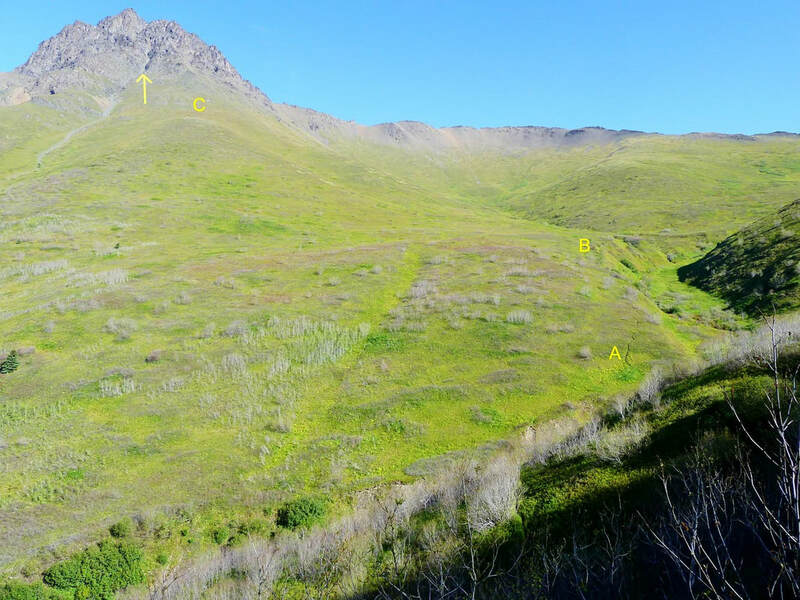 I dropped the 50 feet or so to the creek and waded across, then began the long hike up the grassy slopes seen on the right side of the banner photo above. I aimed directly for the false summit, climbing up through the cliff bands on the upper mountain, and getting into some loose class 4 terrain. 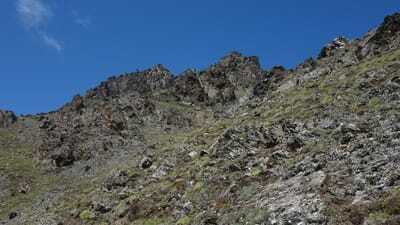 I figured I would just continue climbing as long as I felt comfortable and hit the ridge. 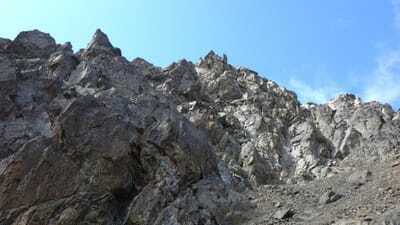 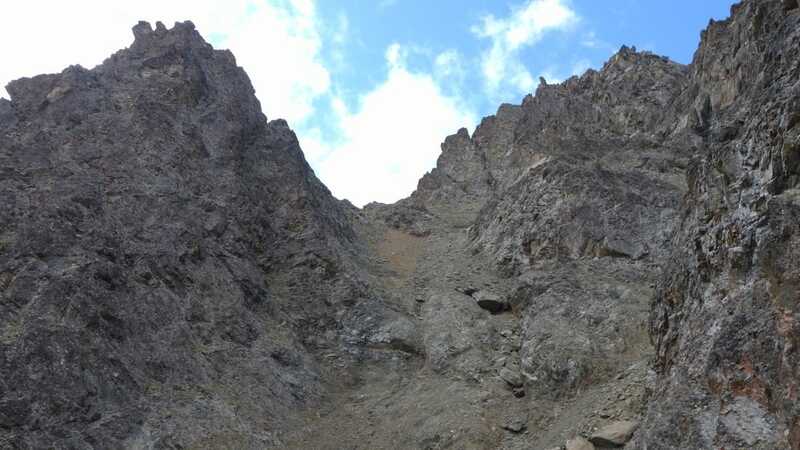 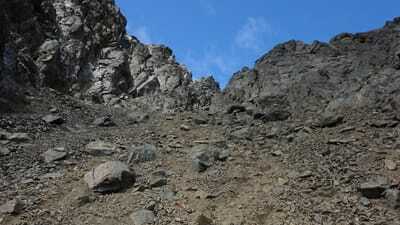 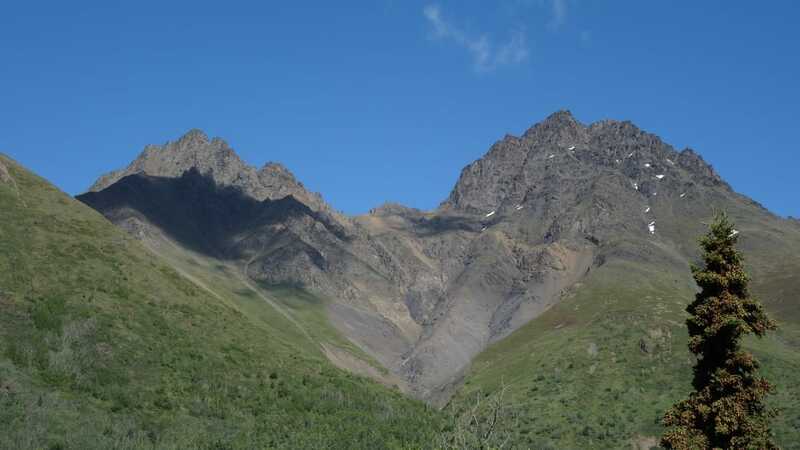 I was able to stay to the right of the huge scree gully bisecting the mountain and terminating at the saddle between the false and true summits. 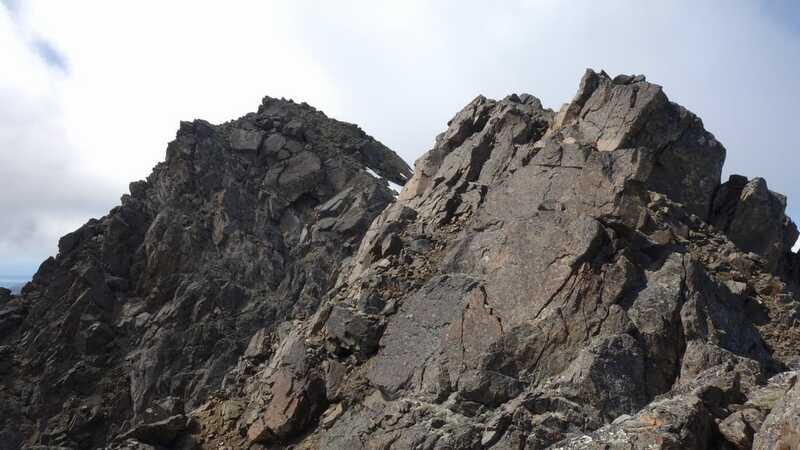 From where I hit the ridge, I scrambled down to this saddle, only having to drop 50 feet, then climbed the last 150 feet to the summit. 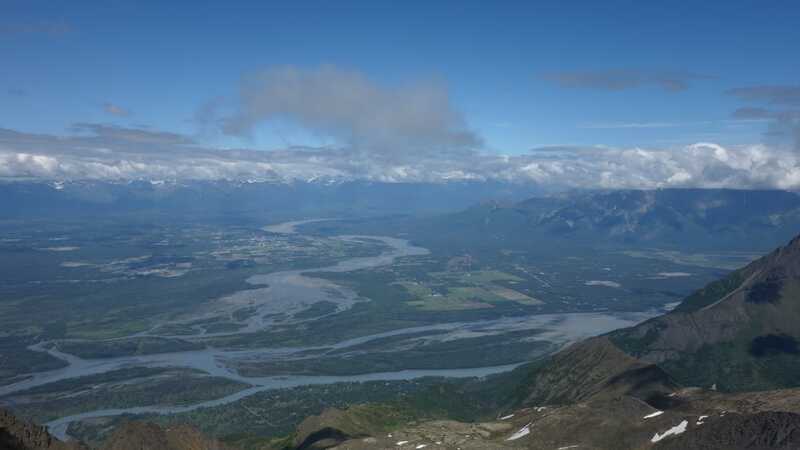 I signed the summit log, and relaxed for nearly an hour enjoying the view. 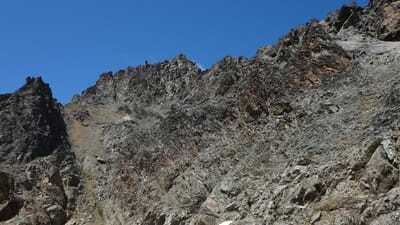 It only took me 3 hours to reach the summit from the car, with an elevation gain of about 5,000 feet. Well off to the north across the Mat-Su valley I could see the Talkeetna Mountains, but to the east the Chugach Range was shrouded in some clouds. 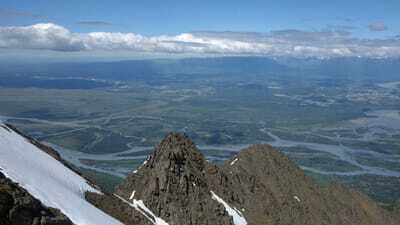 Ekltuna Lake below me loomed large. 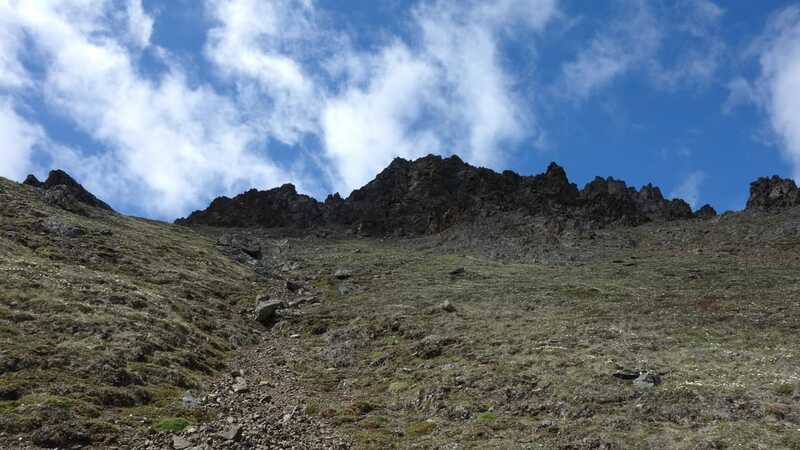 For my descent, I took advantage of the aforementioned scree gully part of the way down, then returned to the easier grassy slopes, and ran down the trail back to the trailhead, where I got two ice creams...because that's what I live on.